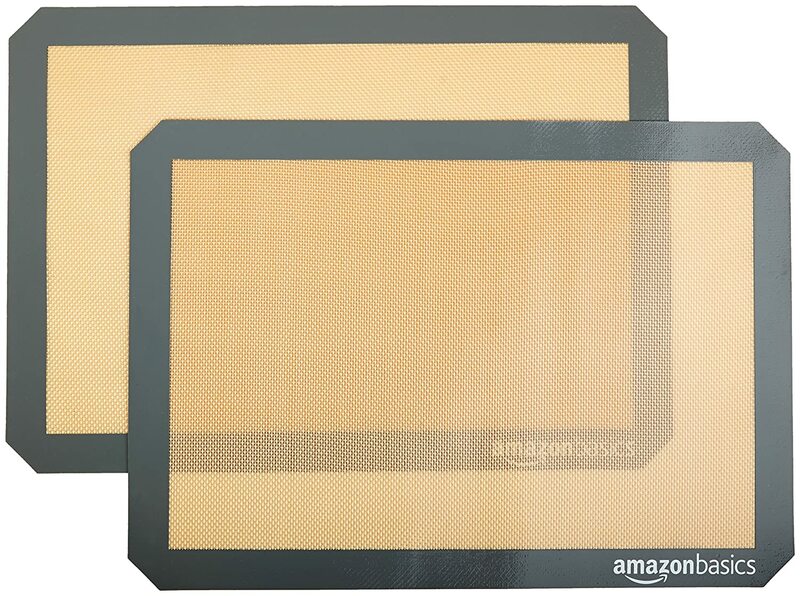 With this two-pack set of AmazonBasics silicone baking mats, you can skip the cooking spray, pan greasing, and parchment paper. Placed directly on an existing cookie sheet or countertop, the silicone mats offer a wonderful alternative, helping to promote healthier results and ultimate convenience when baking or candy making in the kitchen. The baking mats fit directly on half-sheet pans and measure 11-5/8 by 16-1/2 inches each.